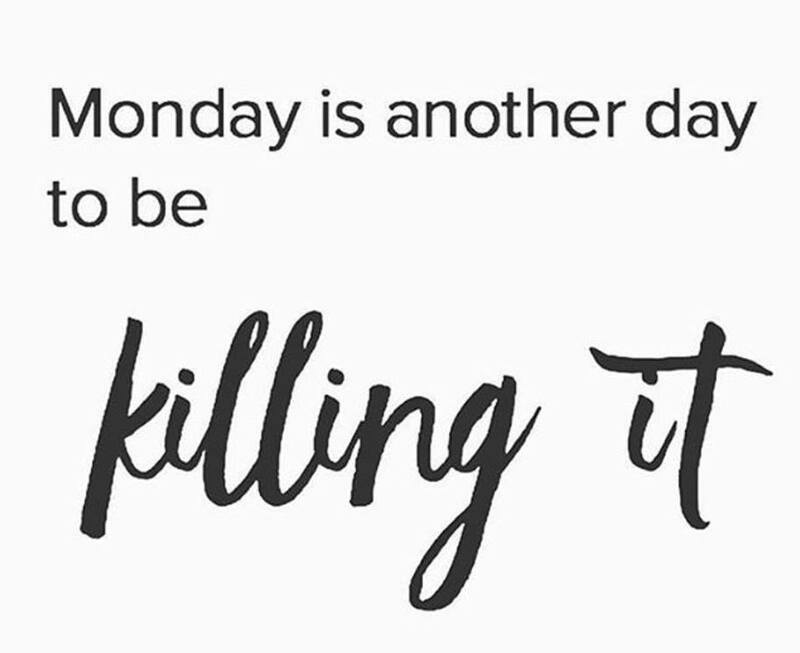 "Monday is another day to be KILLING IT"
Instead of dreading it, choose to love it! Use it as an opportunity to get ahead of everyone else... While they are stuck in negative thoughts, have yours positive and be productive... This will give you a huge head start over everyone else!